BROWSE X-SERIES MODELSWHO USES THE X-SERIES? Made with the highest quality carbon fiber. 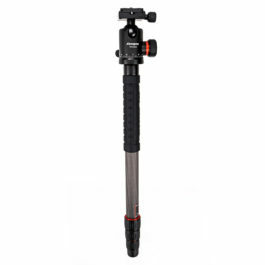 Carbon fiber tripods, at aluminum tripod prices! We're happy to offer 3-separate sizes to accommodate your specific needs. X-4CN, X-5CN, and X-6CN. 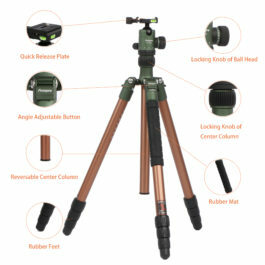 You can quickly convert the tripod into a monopod by removing one of the tripod legs and attaching the ball head. The tripod legs can be adjusted to 3 different positions based on the terrain you're working on: standard, wide, and ultra-wide. The right ball head makes all the difference. The precision and strength of our ball heads is unrivaled. 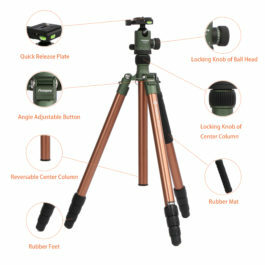 Each tripod includes a mold and fungus resistant carry case that you can confidently use in any environment. 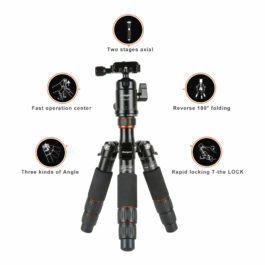 X-Series tripods are ready to handle any environment. The spiked legs will ensure you have stable footing on any surface. 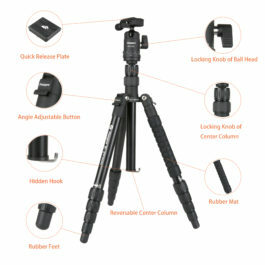 "We love using our Fotopro tripod. 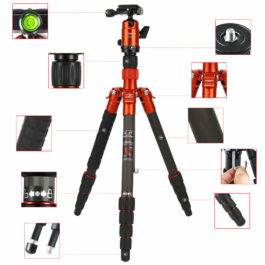 We hike a lot in the mountains, so a light-weight and compact tripod was absolutely necessary." CJ is a full-time adventure photographer. He's constantly pushing the limit to see if there is something even grander beyond the next peak. He enjoys capturing landscapes, adventures, and lifestyles in the backcountry. His photography is nothing shy of inspiring. Will's passion is to tell stories with his camera. He's a creator with an unwavering mission to excite the human spirit. His photos and videos will inspire you to want to head outdoors to do something fun and adventurous. CJ and his Will filmed the video you see playing below. You should check out their work by visiting Roam Wild.